TM 5-3825-226-24 AIR COMPRESSOR 3-21 ASSEMBLE AIR COMPRESSOR Tools Needed A B C 1P510 Driver Group 1 9S289 Compressor 1 PLASTIGAGE * 1. 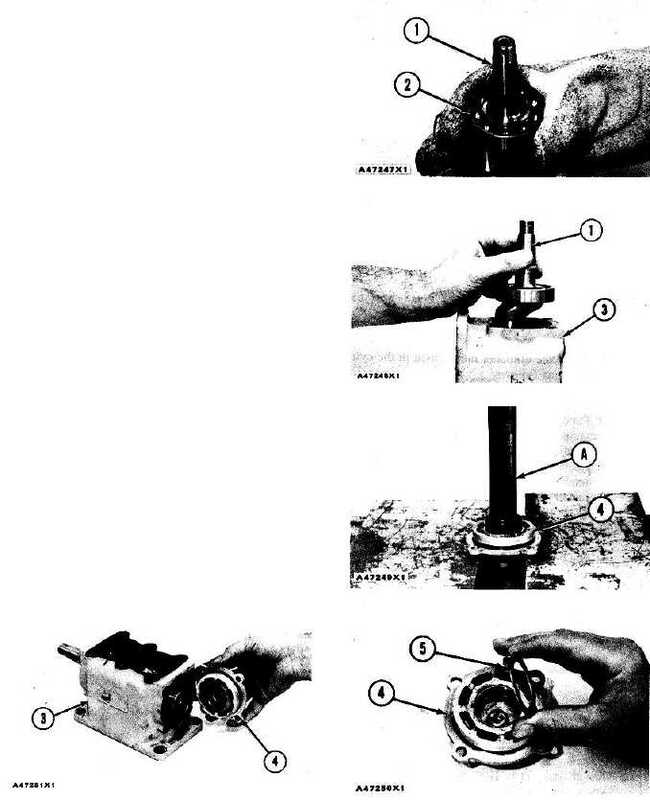 Heat bearing (2) in oil to a maximum temperature of 275°F (135°C) and install it on crankshaft (1). 2. Install crankshaft (1) in crankcase (3). 3. Install the bearing in rear crankshaft cover assembly (4) with tool group (A). 4. Install washer (5) in cover assembly (4). 5. Install cover assembly (4) on crankcase (3).